You are at a family function, a Class Reunion or a party and you meet someone for the first time. You ask the other person about themselves; they tell you, their background, where they work and what they do. They then ask about you. You tell them where you were born, where you went to school, where you work and what you do. You are a Piper! At this exact moment you see their eyes glaze over and their line of sight shifts to some other place in the room. You know you are about to lose them. But, you go on, trying to bring them back. Soon they make an excuse to leave and scurry away. Six months later you meet that same person again. There are many versions of this same story and I am sure all you Pipers out there have heard them all. Every time this has happened to me I have wondered why is Piping such a hidden profession? People know what a Lawyer is and what he or she does. 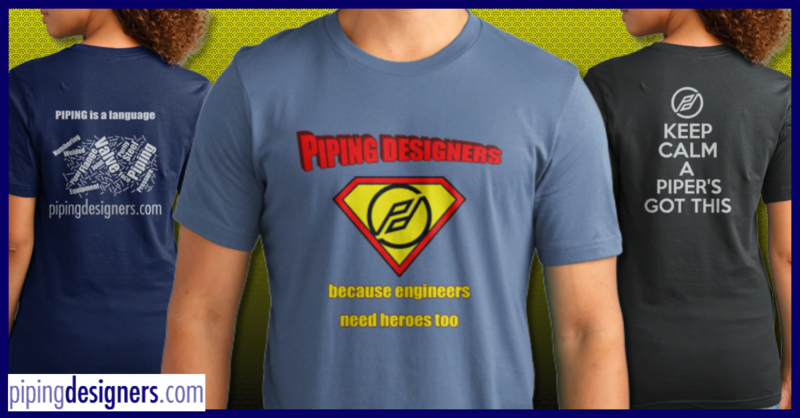 People know what a Doctor is, what a Plumber is, what a Butcher is, what an Auto Mechanic is, what a Pilot is but how many people do you know (who are not in the Piping or Engineering game) know and understands what a Piper is and does? Yet, where would the world be with out Pipe, Piping and Pipers? I got to thinking about this a few days ago. I asked my self, “How important is Piping? My answer was. It has to be in the top ten of mankind’s all time greatest inventions. I then put together my list of what I thought would be the Top Ten Greatest Inventions. Now it is important to recognize that there is a difference between inventing something and discovering something. Here are a few things that Man Discovered in nature but did not really invent. Metal – Copper, Iron and so on. These also existed in nature; man perfected the refining and forging process. Gravity – Newton did not invent gravity, he just discovered it and was able to teach others what it was. I then thought I should check out the Internet and see how I did. 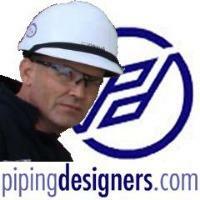 There must be some great minds out there that have heard of Pipe and Piping, so let’s see where it is on their lists. I took the top three lists and copied them down. I was very disappointed in the “great minds” I had so wanted to have recognized Piping. Not even close. Number 4 on the first list is the only one that relates to Piping. I am pleased that we got some kind of recognition even if it was not how we like to think of our profession. The greater disappointment is the lack of recognition in today’s world for the truly significant inventions made by early man. In view of this I now understand why the average man and woman we meet (away from our profession) do not know what Piping is, what piping does and how important piping is to their daily lives. If all the piping, pipe, fittings, flanges, valves had never been invented. What if it all disappeared today? There would be no Trains, Planes and Automobiles. There would not be the medicines we have today, there would not be synthetic fabrics most of the clothes we wear is made of, there would not be rocket ships to the moon, there would not be clean drinking water piped to most homes, there would not be sewer systems and waste treatment plants, there would not be paint, soap and a lot of other products as we know then today. That is how important your Piping profession is. It still does not explain why the average man or woman does not “See” piping in everything as you and I do. Yes, Piping, The Hidden Profession. Some comments through LinkedIn on this article. Very well described and referenced. Still some of my friend tease me by calling Plumber. It lights my job future again, good article, thx. By the way, both those lists missed one heck of an invention, the one that makes the world go round and round and round... I'm talking about money, of course. Not to be facetious, Elena, but money does not make the world go round, angular momentum does. Money is just one form of trade - and there are also other good alternatives. ) I'm not so sure I would honor money as being one of the top ten inventions of all time, although I can see the temptation to do so. You might not honor it but History channel for sure included it among the 100 inventions that changed the world. Drafting in general is a hidden profession. People either assume you're an engineer, or they don't know what it is at all. If you tell people you're a piper, maybe they think you play bagpipes for a highland pipe and drum corp... or perhaps lure rats out of small towns for a fee. To all of you, Thanks for the great comments.